Earn $9.19 in Rewards credit. Click to learn more. 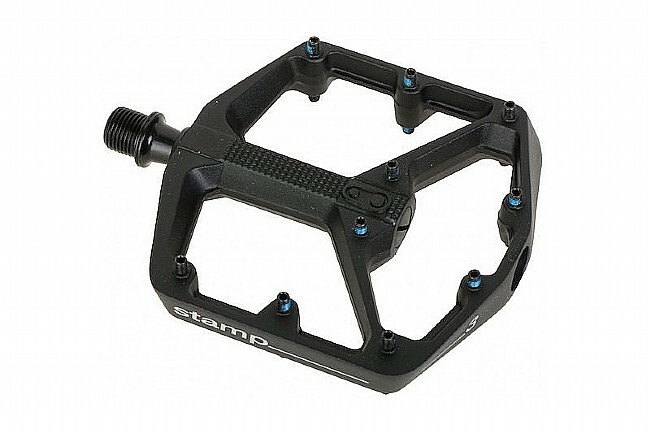 Designed for cutting lines through technical terrains at high speeds, the Stamp 3 Pedals rock-solid platform design keeps the wheels turning session after session. Whether you're a seasoned veteran of the mountain or you're just getting started, the ultra-tough 16mm-thick 6061-T6 aluminum body will provide the perfect platform for you to tackle the mountain your way. Ten adjustable pins allow for customizable traction, while a slightly concave profile helps your foot stay centered over the axle. Inside, a premium bearing and seal system blocks out grit and grime, ensuring the Stamp 3's keep spinning just like the day they were made. 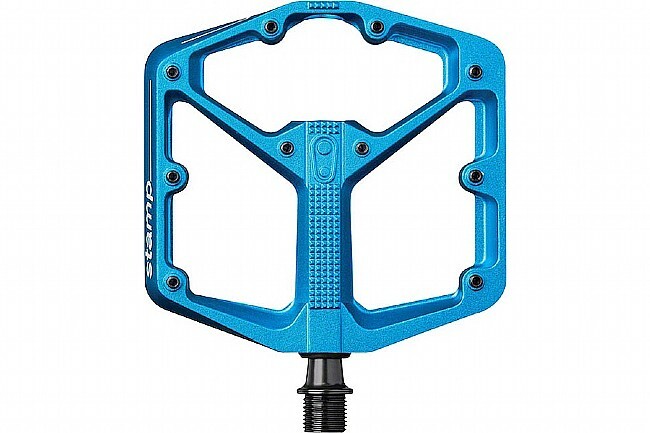 The Crank Brothers Stamp 3 Pedals feature a size-specific design. Choose the Small if you wear a US size 5-10 shoe, or a Large if you wear a US size 10 or larger shoe. Super durable size-specific platform pedal with ultra-thin design. Premium bearing and seal system for smooth, precise feel. 10 adjustable pins for customizable traction. Slightly concave design keeps feet planted. Pedal wrench compatibility: 8mm Allen key. Small: US 5-10 feet, Large: US 10+ feet. Claimed weight: 399g per pair.